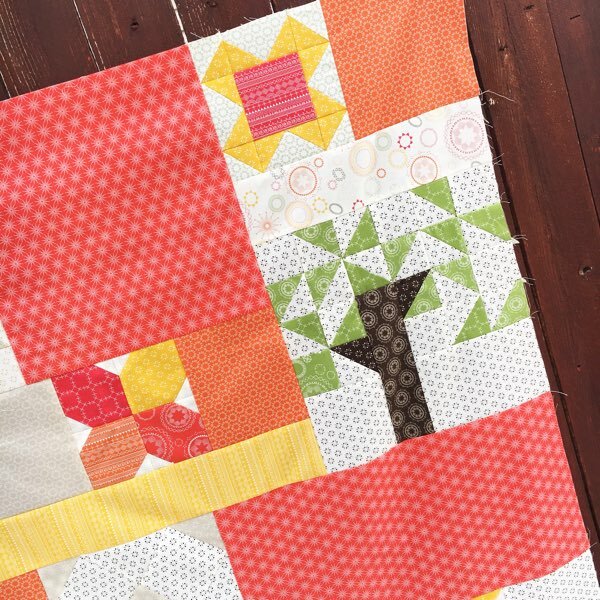 I was looking through my blog over the weekend, and realized that I never shared my finished quilt top for the #apqquiltalong project! I had a few little deadlines pop up on me and I folded up the top before I got it posted here – sorry! 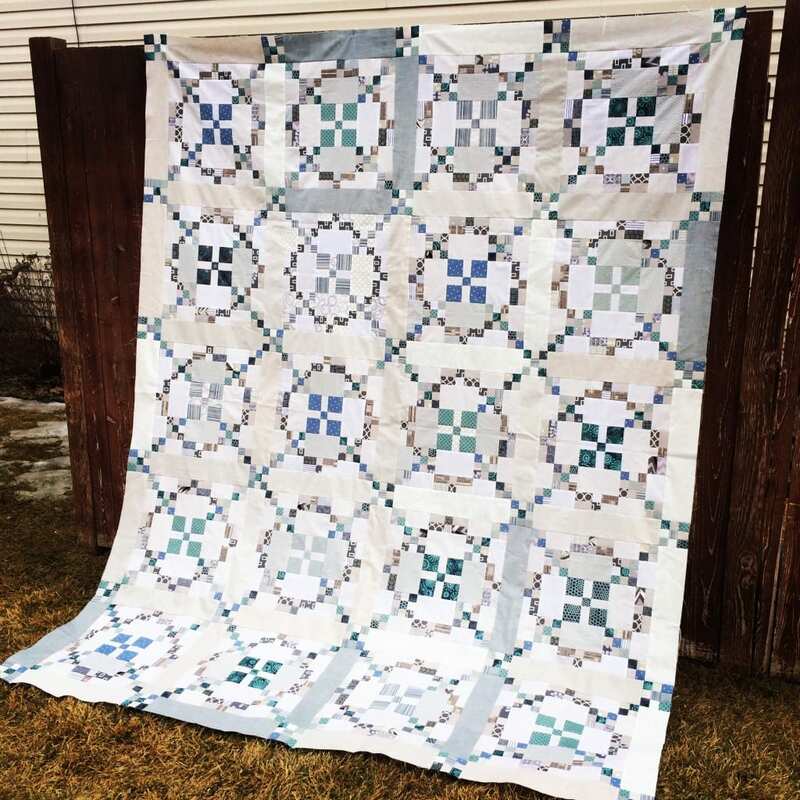 My quilt measures 75″ x 93″ – which is a great size, and it would be simple to add or subtract blocks to make it the size you would like to snuggle with! 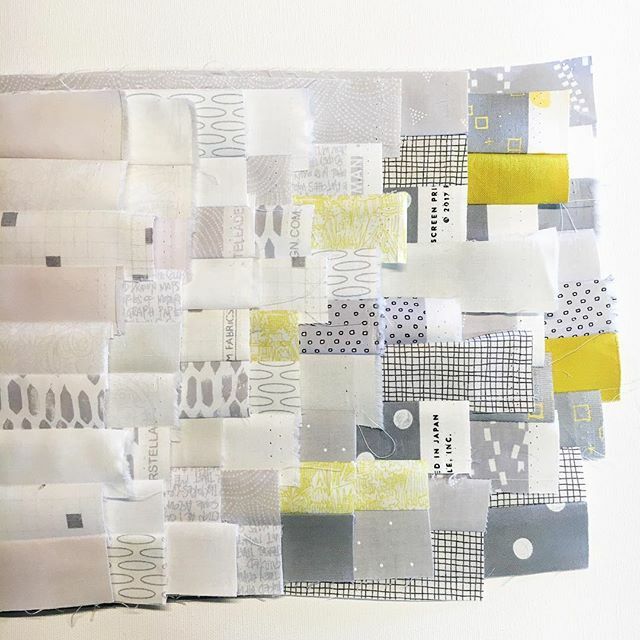 Making this quilt has been a journey! 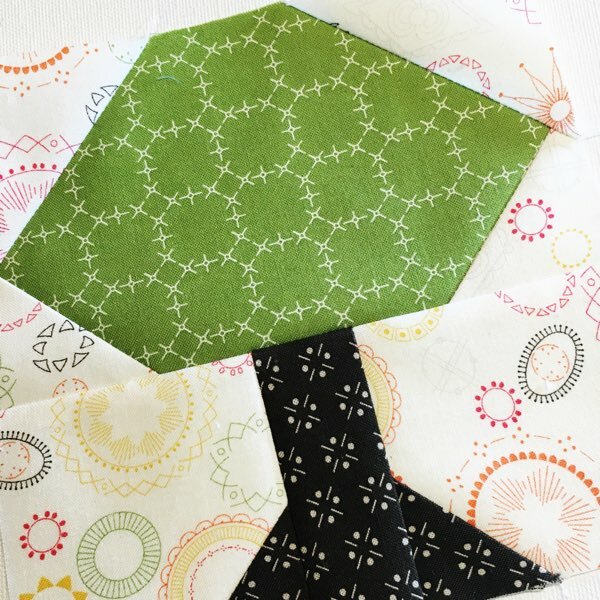 I will mention that using an accurate 1/4″ seam allowance makes all the difference in these blocks, with so many seams, it would be easy to have problems. Thankfully, my quilt top lays flat! 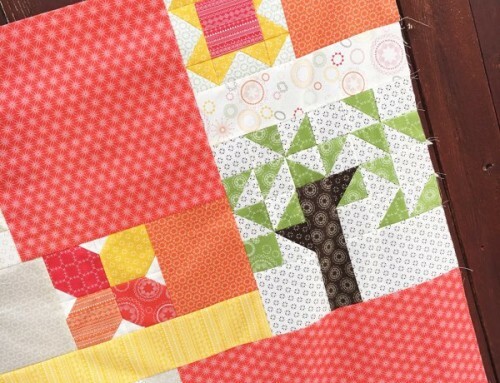 It’s not a difficult quilt to make, I suggest anyone that wants to make one to go for it! 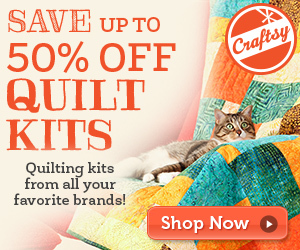 Break it up into little projects, and then work it into blocks and a quilt top. Some local friends made one over the course of a year, by making four-patches, and nine-patches as directed. 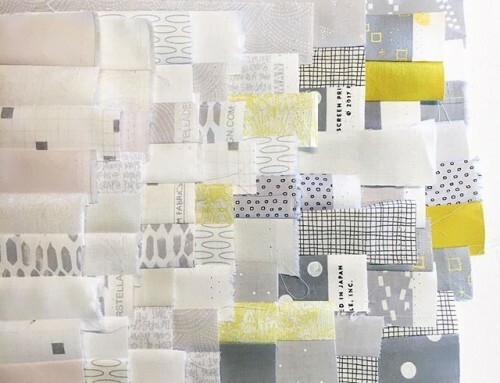 It’s a fun project to incorporate lots of fabrics into too! 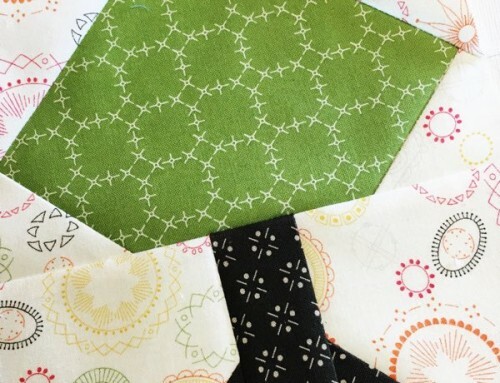 It’s a great quilt to use fat quarters, fat eighths, and small left overs from other projects. 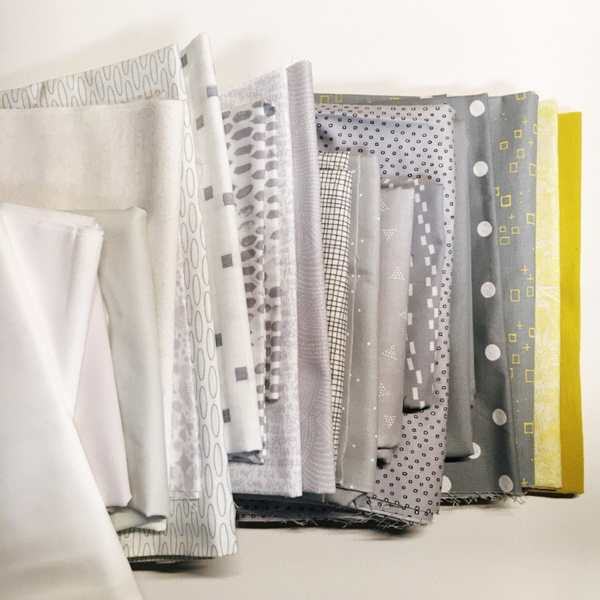 I had participated in a gray swap a year and a half ago, where everyone cut 10″ squares and exchanged them, so we had a nice variety of gray fabrics. I used a bunch of those fabrics in this quilt top, which made for great variations in each block. I’ve talked myself out of organizing that sort of swap a few times lately, but could be talked into it, if there’s enough interest. Fill out this form if you would like updates on a gray swap! It would seem that spring is coming early in our valley, warmer temperatures, melting snow, and lots of sunshine have made for some beautiful days lately. I’m sure we will have more snow even still, but it feels good to take a deep breath of fresh air, and open the windows wide! 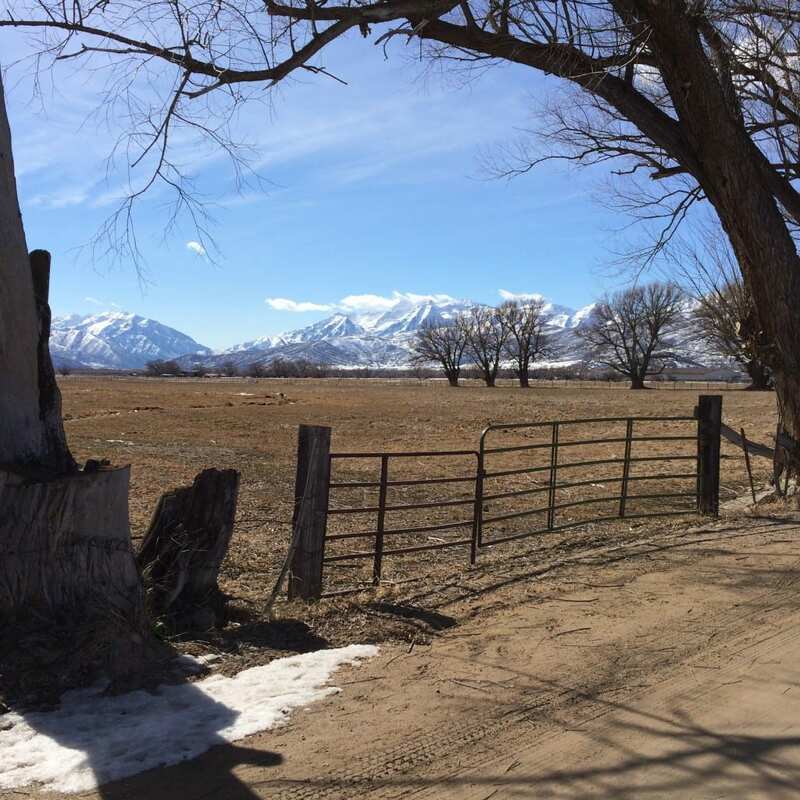 I took this picture while out for a bike ride last week, behind our house there’s lots of pasture land with a few intersecting dirt roads – I just loved the way the trees framed the mountains at that moment. 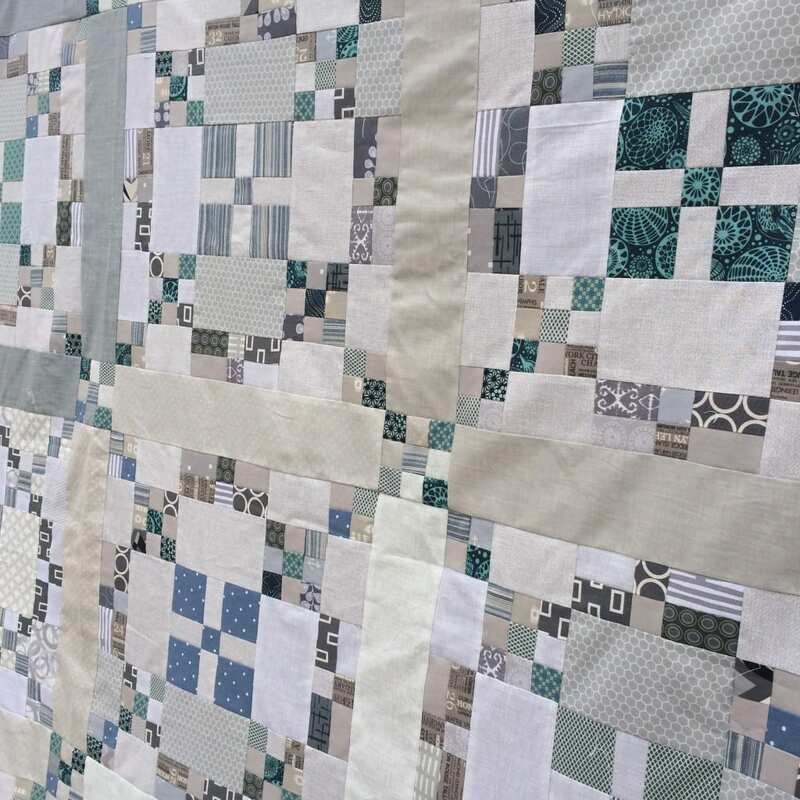 Boy, I really like this quilt, lovely modern neutral scrappy quilt. 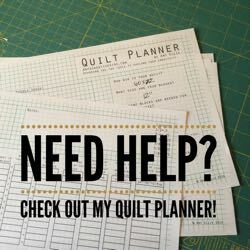 I really like the quilt and that is good advice; doing a bit at a time. I think that the notion that a quilt must be finished in a sitting is what makes me falter and have so many unfinished projects. (well that and the short attention span)…lol! Wow! This quilt is OUTstanding! I do SO like it! Thanks for remembering to post! Glad you did! Saturday in Texas at grandson’s soccer game we were needing sunscreen and stripping layers of clothes because of the heat! Sunday the north winds blew in rain, rain showers, sleet showers and the ground had icy white patches again with temps in the teens. Brrrr! 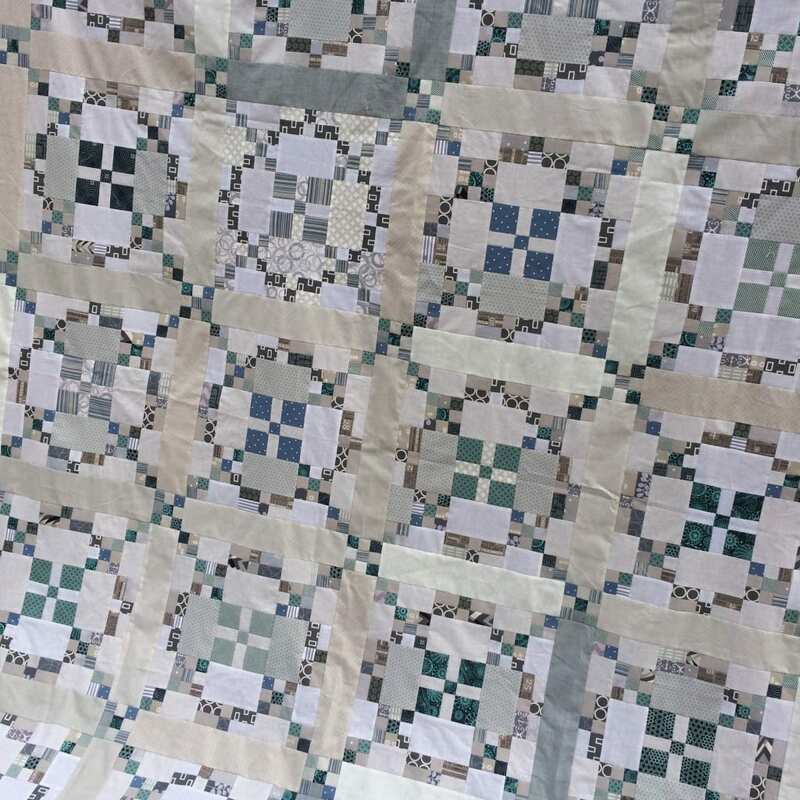 This quilt is so calm and relaxing, I can see it made up with the finishing touches into an awesome quilt. As for spring time, not yet in Northern BC. Its -17 this morning and more to come. So we’re not to spring time yet. Wow, this is a work of art. 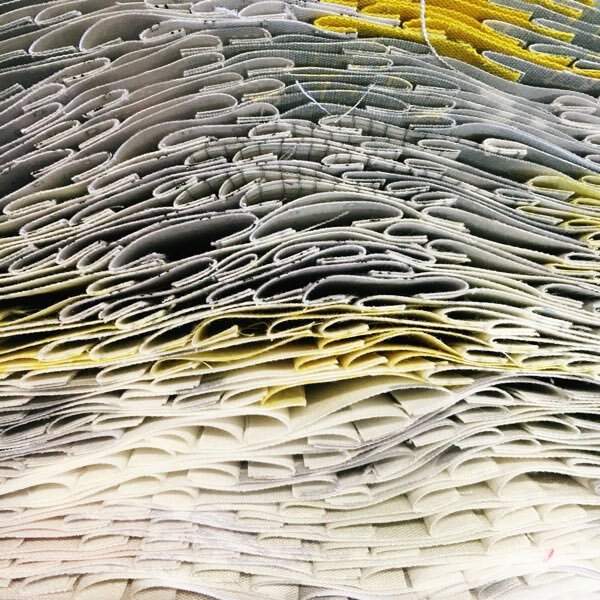 There really are a lot of seams in that project too, good for you at keeping them on track. I have to say that I worry a lot about matching all my points and seams. I love this quilt. The colors are so soft. Sophisticated design, Amy. Love the neutral palette. What a sweet (and huge!) top. Well done! We have nothing but the same cold and snow up here. Still. Nice to see spring has found you! Great quilt! 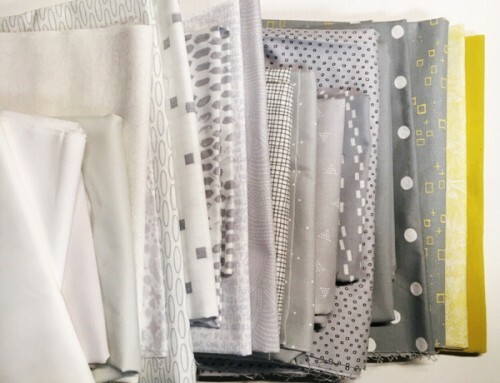 I love the neutrals combined with pops of color. I find myself buying neutrals. 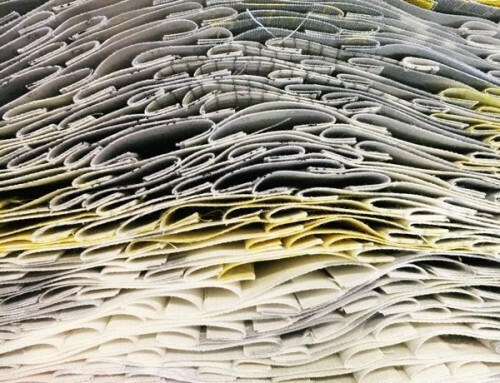 Maybe a low volume quilt is in my future! Love your toned down version! This is just beautiful! Beautiful quilt! Is the gray swap over??? it does relaxation regularly. Women are valuable human being created by god.